For a budget of about $6k, you can get into all sorts of cars that you could daily drive, but most would be a few decades old with some wear 'n' tear. Not that it's a bad thing, because I've daily driven everything from donated Porsche 928s to Saab 99s...but I'm really not that concerned about reaching my ultimate destination in a timely manner. 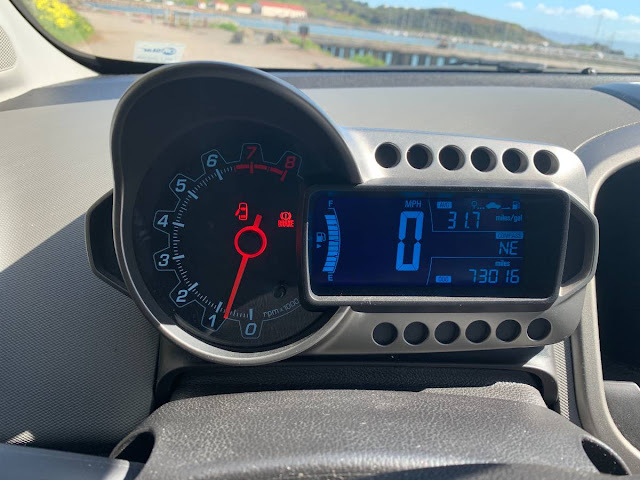 If you want a cheap car and want something that is very likely to get you there...consider a late model econobox with a manual gear changer. 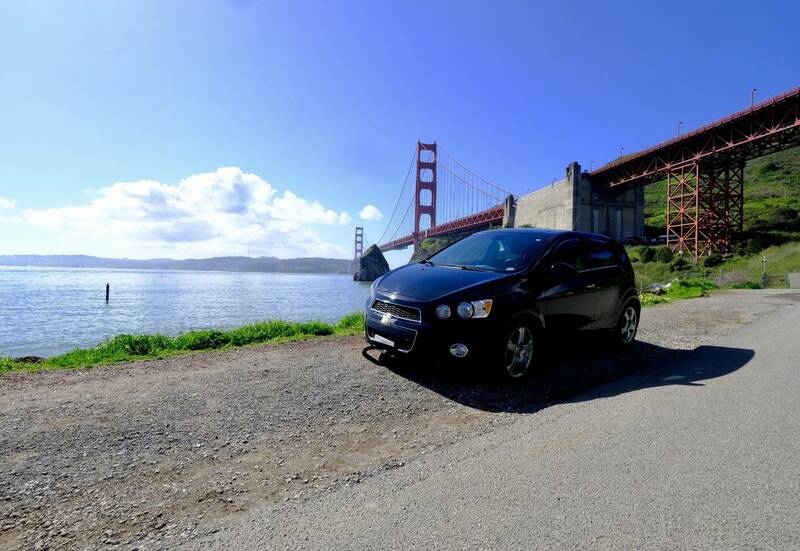 Like this 2012 Chevy Sonic LTZ Turbo offered for $6,200 in SF Bay Area, CA via craigslist. Ok, I get it. Everyone has reservations about buying a used car. And truth is, I have reservations about a new owner. I mean my current owner is great, he’s kept me safe on the road, away from other collisions, and has consistently stayed on top of the regularly scheduled maintenances. When I had some hiccups here and there, he noticed and acted right away, and in return I strived to be as dependable a car as I can be. I’m well equipped with a 1.4 turbo six speed manual transmission. And if I do say so, I think I’m more fun than those “other” compact commuter cars. I’ve also got that nice black leather interior upgrade, and shhh don’t tell people, but I even have a respectable but modest tint on my four side windows. My speedometer takes on a little style and character from those more nimble motorcycle friends of mine; some (creative) people even think my center console dash looks like I’ve got little elephant or robot ears. When you get tired of my looks, you can pop open my top and take a look out my sunroof. I’ve got enough low end power to get me through congested city streets, stop and go traffic and I'll even do my darndest to keep us ready when stopped on a hill with hill assist. I get decent fuel economy but I excel more in longer commutes. If my power isn't good enough for you, there's some aftermarket upgrades we could try, but right now I'm stock. My A/C blows ice cold, but if you like a warm bum I can heat you up with my front heated seats. 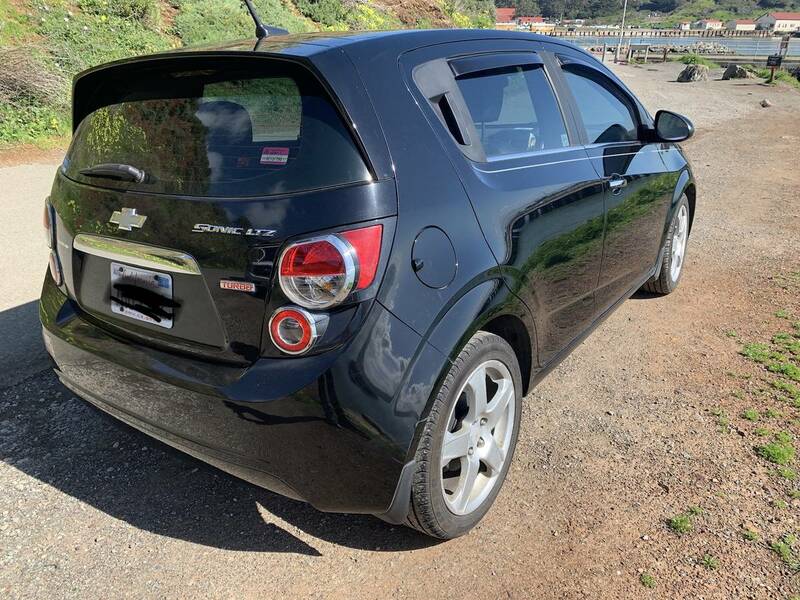 I've got a nice rear to accommodate more spacious needs with my hatchback opening, and a 60/40 split when you really need to stuff things back there. There's a privacy top and secret under storage compartment space. The only problem is, that my owner doesn’t seem to think we’re “long term” compatible. Some dream about having a bigger and more dependable off-road vehicle for camping trips and weekend excursions. So mainly I’ve been left to sit in a garaged space for the majority of my underutilized lifespan, and with only 73000 miles…. I still have a lot left to give. So I’m looking for a new owner, one that can use me. Yet if you think I’m not good enough lets just settle in on the nitty gritty. So if you’re looking for a super dependable and snappy car, I want to be yours, you’ll love me. I'm basically perfect anyway. Please let me know, currently trying to sell it before the end of next week as I will be leaving for six months, and just don't want to pay for insurance on a vehicle I'd like to sell anyway. It's got a clean record, no accidents and have title in hand. All service records. Will smog as soon as an interested party is looking to buy. Should be a massive discount for the beyond stupid description. Grow up people!